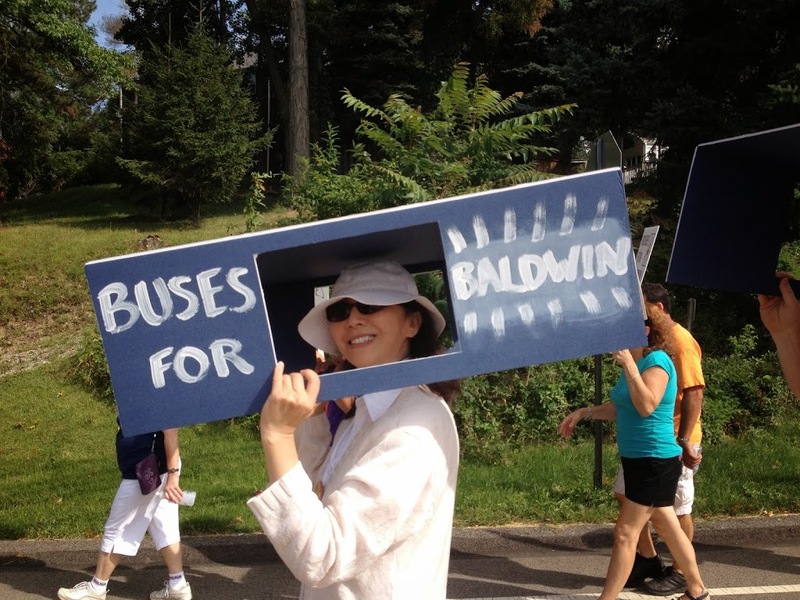 Over 100 Baldwin residents and supporters Walk for Transit! 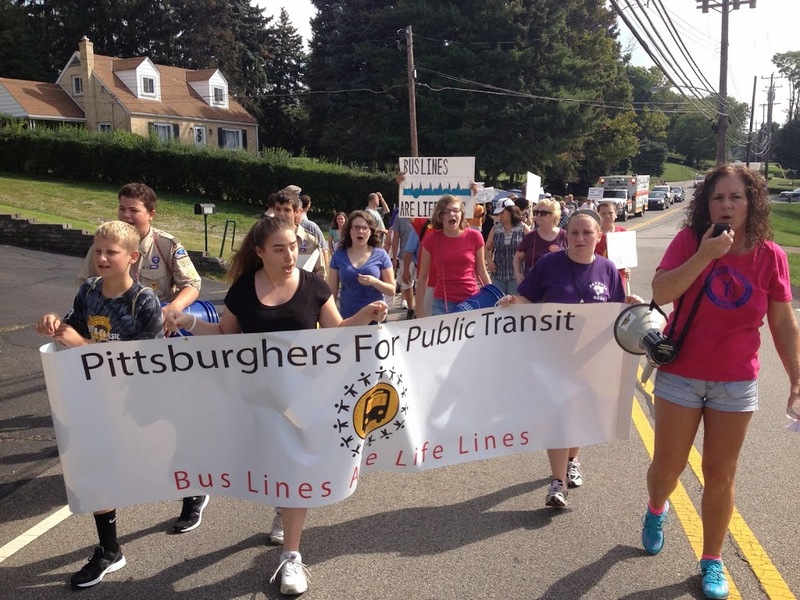 Over 100 Baldwin residents and transit supporters came out Saturday morning to walk one mile up and down the steep hills of Churchview Ave, just half the distance many residents must trek to get to the nearest bus stop. 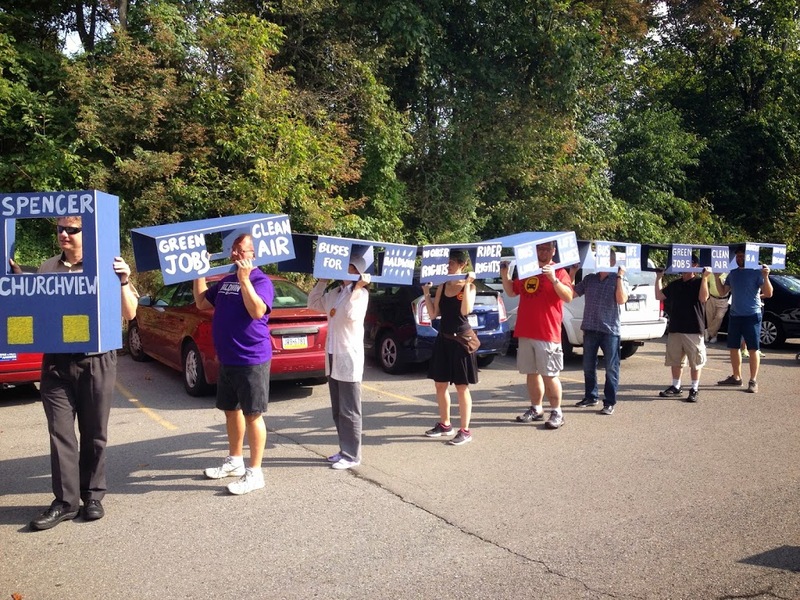 They walked with their own handmade cardboard bus, to highlight the need for service restoration. 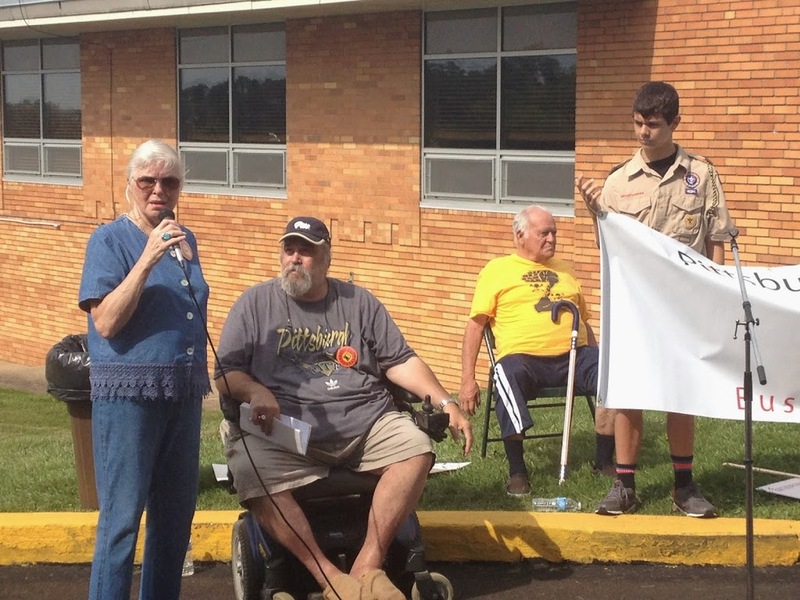 Participants in the walk included bus riders, drivers, maintenance workers, high school students, members of the Boy Scouts, Borough council members, and other elected officials, including Sen. Jim Brewster. 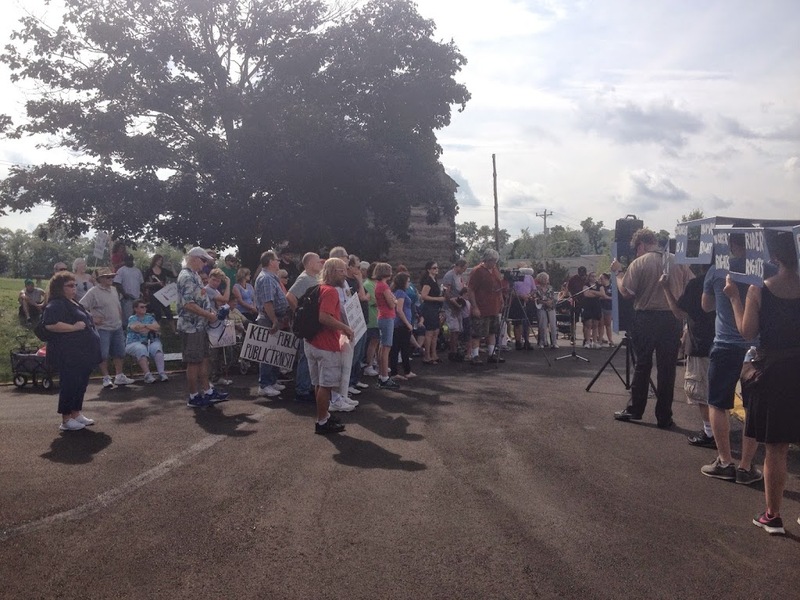 The walk ended with a rally at the Baldwin Borough building, where people spoke about the high demand for bus service in the area. “We are here to show decision-makers and the public how difficult it is for residents in Baldwin to get to a bus route. Many of us need to walk significant distances in all weather conditions, including up and down steep hills, just to get to the bus stop to go to work or school,” said Terry Breisinger, a visually-impaired resident who cannot drive. He often treks on roads without sidewalks to catch the 51 on Brownsville Rd to get to his job in town. The 50 Spencer route was cut in 2011, and Baldwin residents have been reeling from the effects ever since. 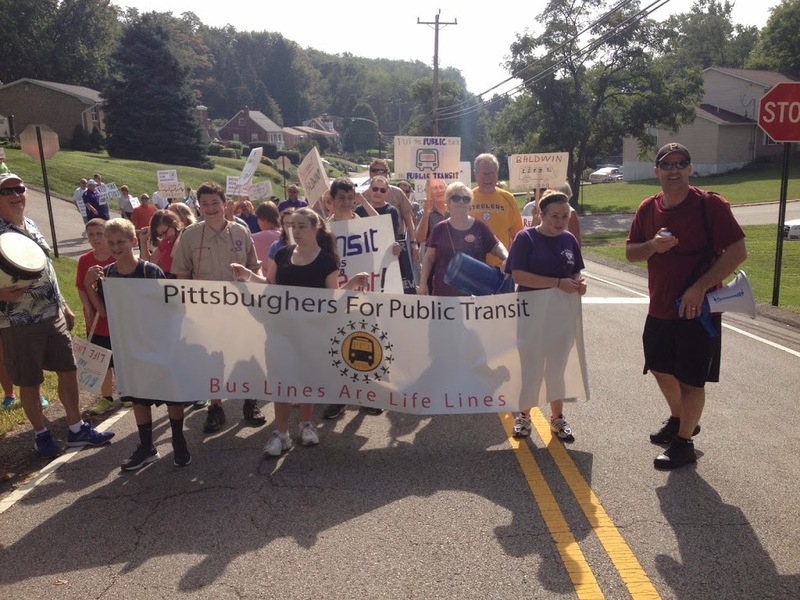 In collaboration with Pittsburghers for Public Transit, they have been building a campaign to restore transit service in their community. Since May of 2014, 540 surveys have been completed by Baldwin residents; 97% indicate that public transit is important for their community. 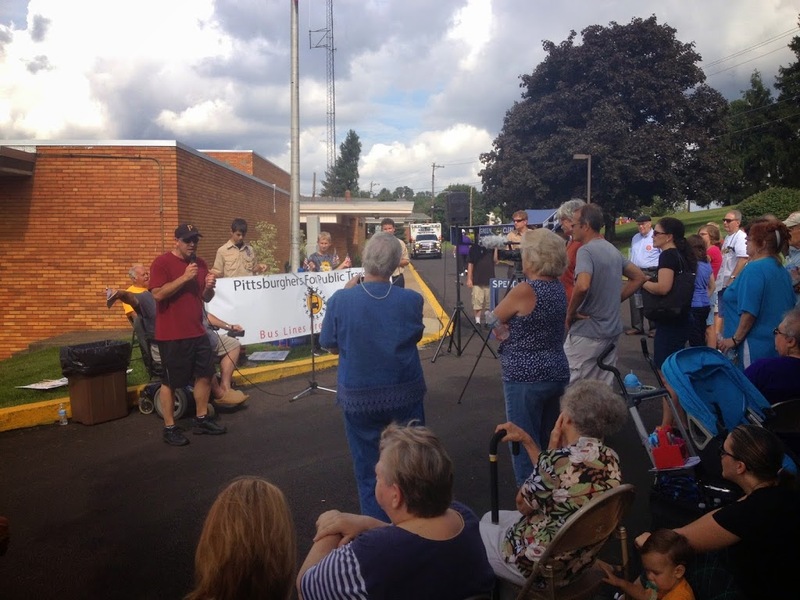 Residents have attended community meetings, spoken at Port Authority board meetings, sent letters to decision-makers, and met with Port Authority staff and board members. To date, 1225 petition signatures have been collected. “We appreciate Port Authority’s willingness to listen to our concerns, and we will continue to push for immediate restoration of our bus service. Act 89 may not provide adequate funding to restore all the service that has been cut in Allegheny County, but this is not a reason to refuse to restore service anywhere. 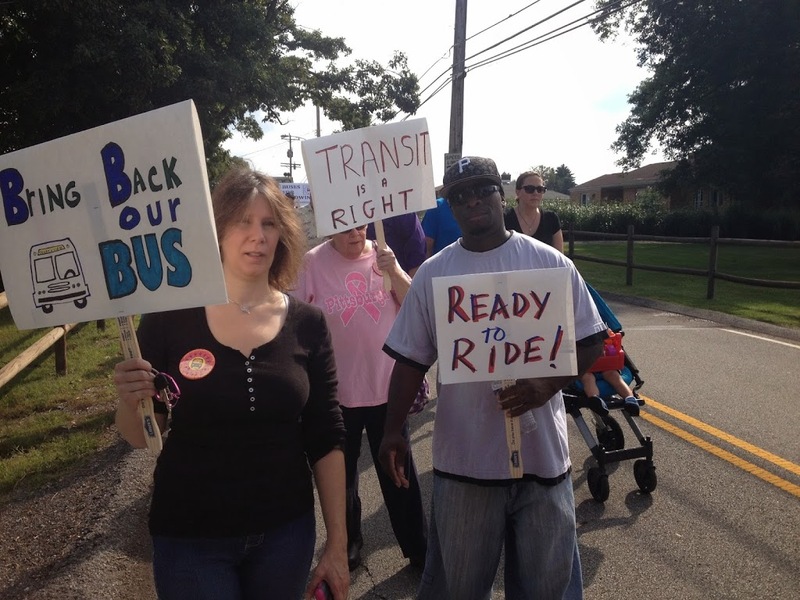 Baldwin has an exceptional gap in service, and this issue must be addressed,” said Karen Smith, Baldwin resident and lifetime bus-rider. 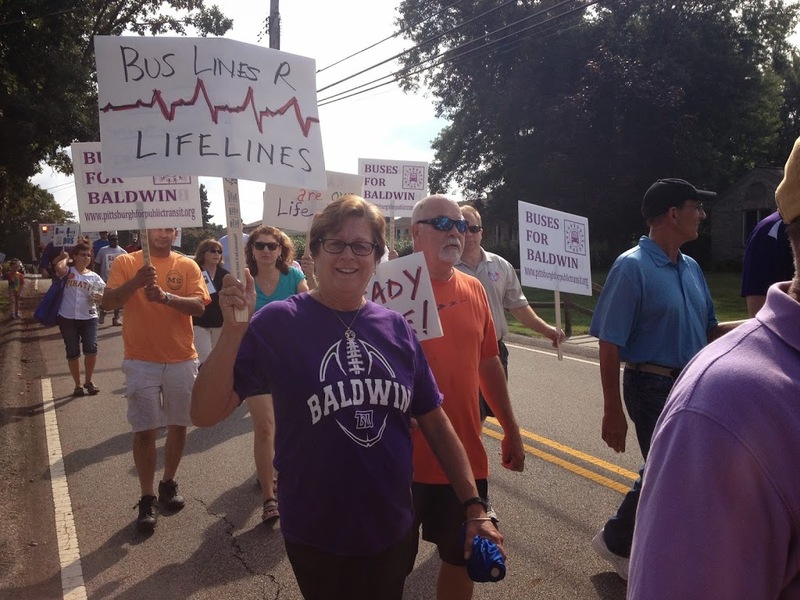 The residents of Baldwin and PPT thank the Baldwin Borough elected officials, the Police, and the EMS for their support for the walk.